Trevo clot retrieval device was previously cleared to treat ischaemic stroke patients up to six hours after symptom onset by U.S. Food and Drug Administration.The regulatory agency has now cleared the use of device to treat these stroke patients up to 24 hours after symptom onset. It has expanding the device’s indication to a broader group of patients to reduce paralysis, speech difficulties and other stroke disabilities in addition to treatment with a medications that dissolves blood blots called tissue plasminogen activator (t-PA). The device was previously cleared for use in patients six hours after symptom onset.A stroke is a serious medical condition that requires emergency care and can cause lasting brain damage, long-term disability or even death. According to the Centers for Disease Control and Prevention, stroke is the fifth leading cause of death in the U.S. and is a major cause of serious disability for adults. About 795,000 people in the U.S. have a stroke each year. 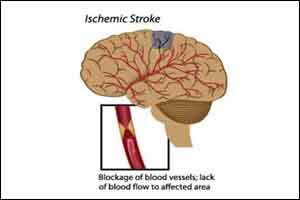 Ischemic strokes represent about 87 percent of all strokes.